As a Dairyland Insurance Agent in Washington State, we know you have many choices for auto insurance. We’ll help you understand your auto insurance coverage and options. Call (509) 783-5600 or come in to one of our offices in Kennewick, Pasco, & Yakima for a Dairyland Insurance Quote in Washington. Motorcycles come in all shapes and sizes: cruisers, choppers, sport cycles, touring bikes, dirt bikes, scooters, and mopeds are only some of the motorcycle types we can insure through Dairyland. Dairyland can also cover your personal golf cart, all-terrain vehicle, and snowmobile. Dairyland Insurance Company was founded in …. . is member company of …. . is rated A (Excellent) by AMBest. 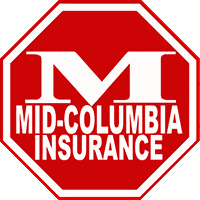 As a Dairyland Insurance Agent in Washington, Mid-Columbia Insurance serves all of Washington with clients in Kennewick, Pasco, Richland, Benton City, West Richland, Yakima, Union Gap, and all the surrounding areas. Call (509) 783-5600 regarding Dairyland Insurance Products and Quotes in Washington State.